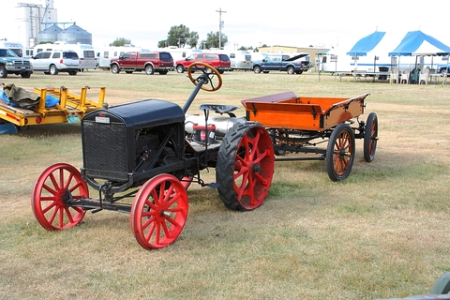 Model T Ford Forum: Identify T Tractor conv. 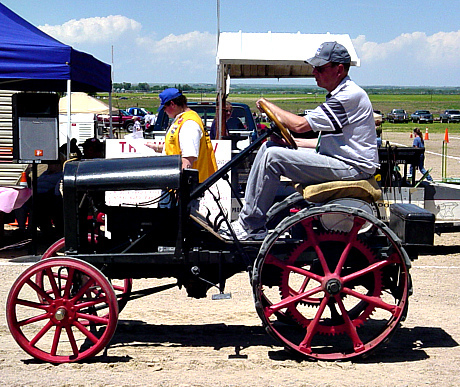 Model T Ford Forum: Forum 2011: Identify T Tractor conv. I dunno but I sure like it! I just looked on the back of one picture and it said Shaw conversion, I haden't heard of it before. Thanks for the note ,I'll visit Him. Yes Mr. McDonald, it is most definately a Shaw conversion. They were produced by Shaw Manufacturing, Galesburg, KS. The city of Galesburg still hosts a Shaw gathering the first weekend after the 4th of July. 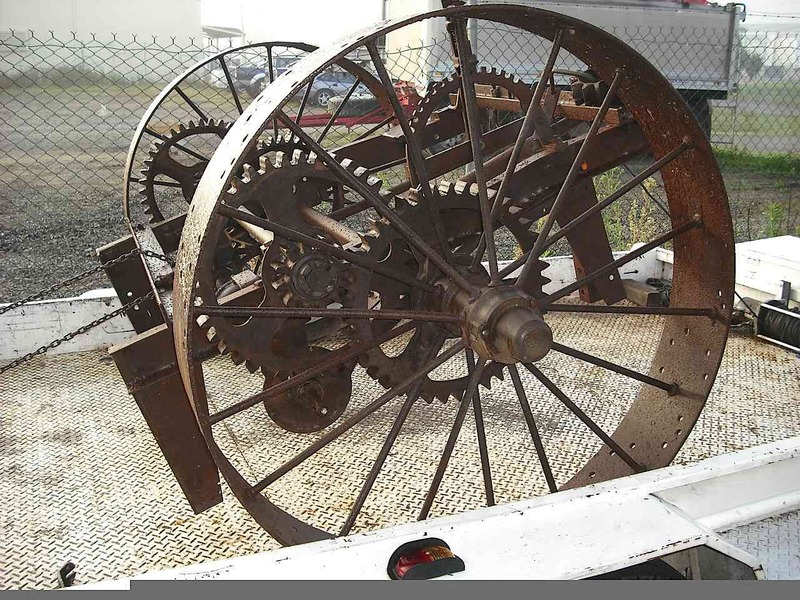 One can positively identify a Shaw by the external teeth on the bull gear and the one piece cast iron front wheels. collector and car hobbiest things.What year did thay start making them? 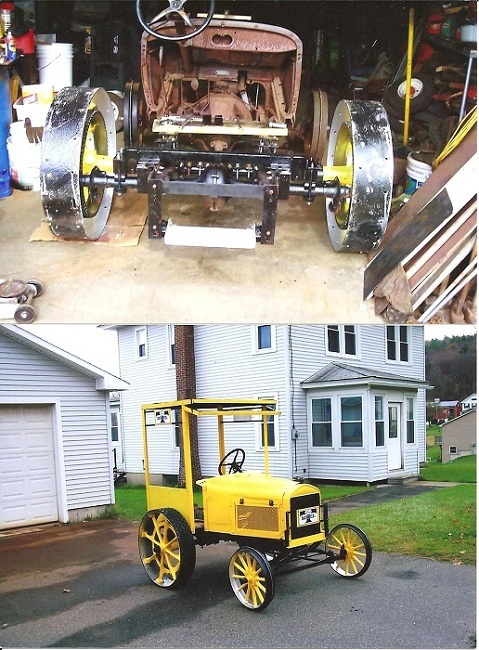 Bob, 1923 Produced Shaw Tractorized Ford using Model T Ford and cast iron wheel kits. Produced through 1931. Using Model A Ford, Chevy and Dodge. Most were sold as a do-it-yourself wheel kit. 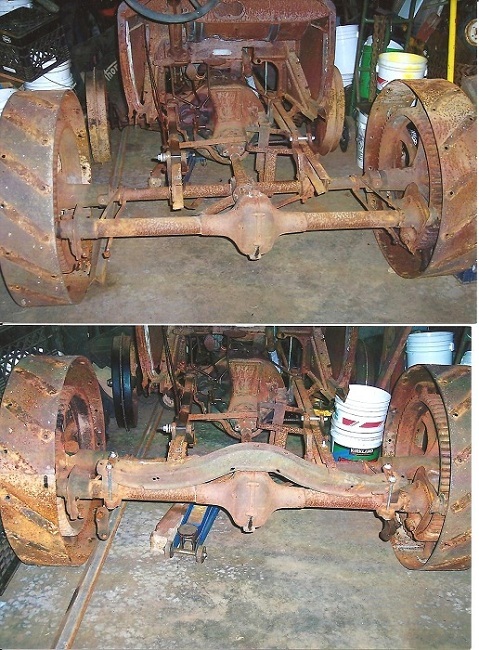 Interesting to see that the rear axle is turned upside down to drive the tractor forward. How would you drain the oil at service time. Keep these articles on iron comming. There is no drain plug in a T axle and I doubt that anybody ever changed it. Added to what was left, maybe, but not change it. I'll try and contact the owner and give him the Info. If he dosen't have it. Pretty interesting company and a cool little car. Howdja like to have one of these to run around in? With those gear ratios you don't RUN aroound in one..best you do is a jog! model T at the top of the page that Bob sent In. Congrats on acquiring the Shaw. Ask away Stan, we'll help however we can. conversion tractor owmers to the registery. trying to put It back,I could use some pictures. 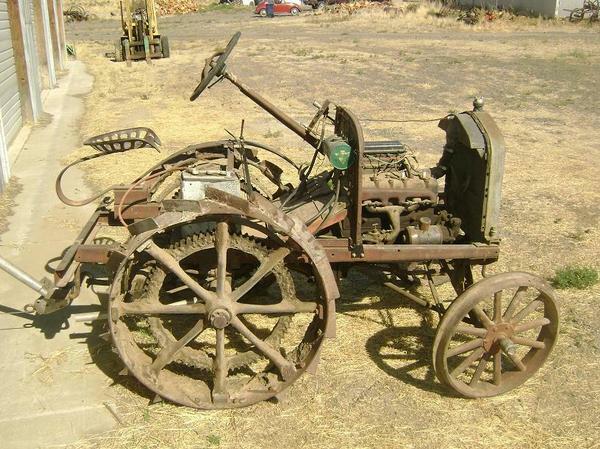 Here is Ford's first attempt to develop the tractor. 1915 test drove it, this is the third test. I Try again, the picture for large before. The left-hand circular tank for cooling water, and the right one for gasoline. The steering column is the old 1914, 1915. etc. 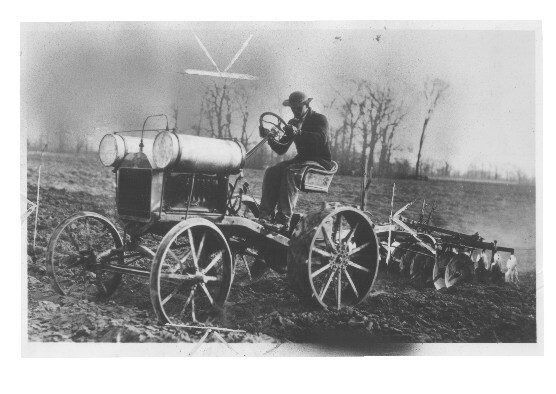 Not his first attempt Ake, his prototype tractors date back before the T, one of then was in 1906, the Automobile plow. Thanks Kerry for the enlightenment, interesting that I have missed. 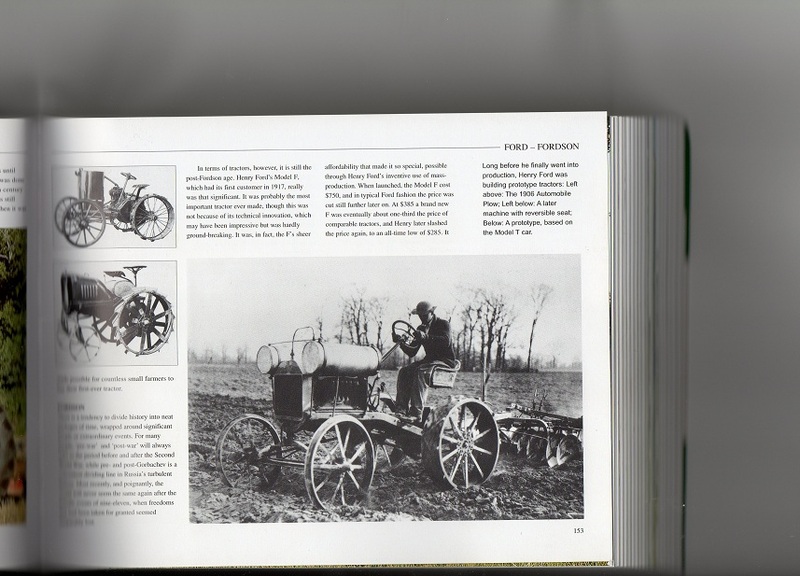 This is about all I have in a book called "The ultimate guide to TRACTORS" Jim Glastonbury, England. WHILE YOU EXPERTS ARE HERE --WHO MADE HIS TYPE ?? ...I will look for this book and buy it. This is the only close pic I got the other day. It didn't turn out very well as you can see. 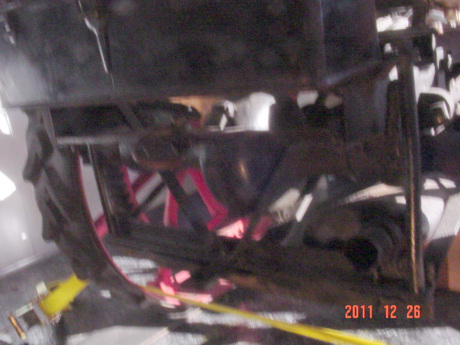 I will try and get some light where it is and get a pic of the axle attachment. I have no idea if this hitch set up is "original" or not. I know I've done nothing with the hitch since I've owned it. 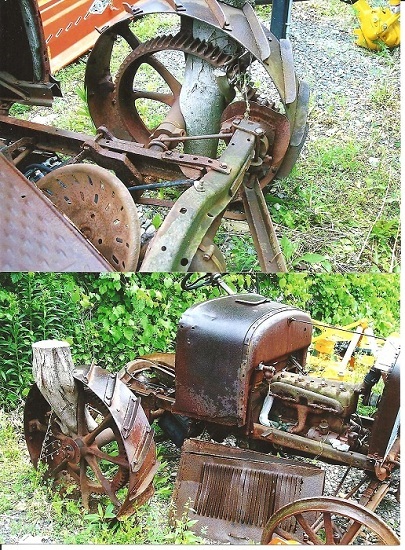 The tractor kit was purchased by a guy in New Hampshire from Shaw in 1931. He assembled the tractor he said and it was used to pull a sap wagon in the sugar maple forests of New Hampshire all the years he had it. There are actually two hitches on this Shaw. One is just a thick piece of flat iron across the two upper frame members. It's been there awhile because it is bolted to the frame flanges with square head bolts and nuts. It has three holes punched in it, one dead center and then one either side about three inches from center. It appears these holes were punched on an anvil and not drilled so this could have been done by a previous owner back in the day. The other hitch is lower, and you can barely make out a double set of irons and a short swinging drawbar in the center. 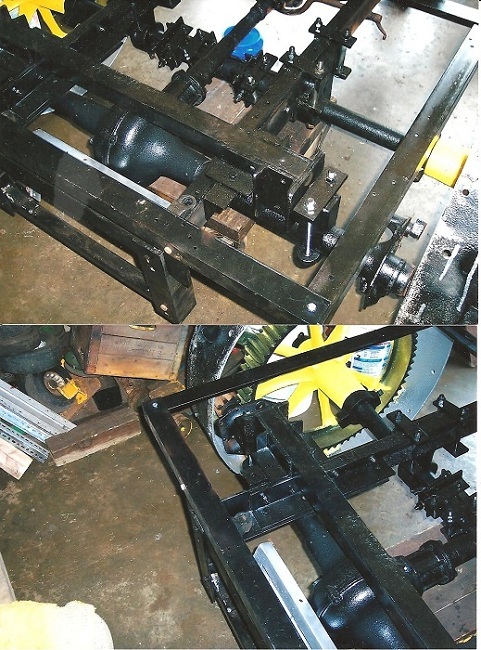 The drawbar swing is attached by two angled iron pieces you can see above the drawbar. The black thing at the very top of the pic is a model T toolbox attached on the back end. Just below that black area is the upper drawbar with a barely distinguishable round clevis in the center hole. The lower drawbar also has on either end two pipes located vertically with a square headed long bolt going down through it from the model T frame flange down to the double drawbar pieces. You can see that bolt somewhat clearly on the right side of the pic. Again, my apologies for the grainy pic. My camera just does not do well where the tractor is stored. I'll try and see if I can get some closer and more decent photos for you. Thanks Don I will print a copie of this for my files.